Ignore the Groundhog, Check this Out! 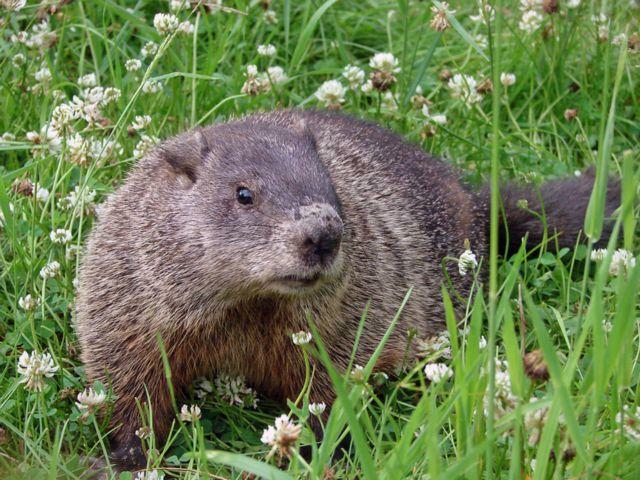 You are here: Home / Featured / Ignore the Groundhog, Check this Out! After what seems like an unrelenting barrage of snow storms, ice storm, polar vortexes, days off from school and the dreaded 2-hour delay, I have some hope to offer. This is not hope derived from some rodent (yes, a groundhog is a rodent) in a town in the middle of Pennsylvania. This is hope in form of a visual aide based on historical trends. Sounds enticing, huh? Just as we know Spring will come to Philadelphia, we also know that with the warmer weather comes The Spring Selling Season! This is the annual phenomenon where Buyers and Sellers come out of their wintry hibernation and start moving real estate. It’s a great time of year for agents and appraisers alike. 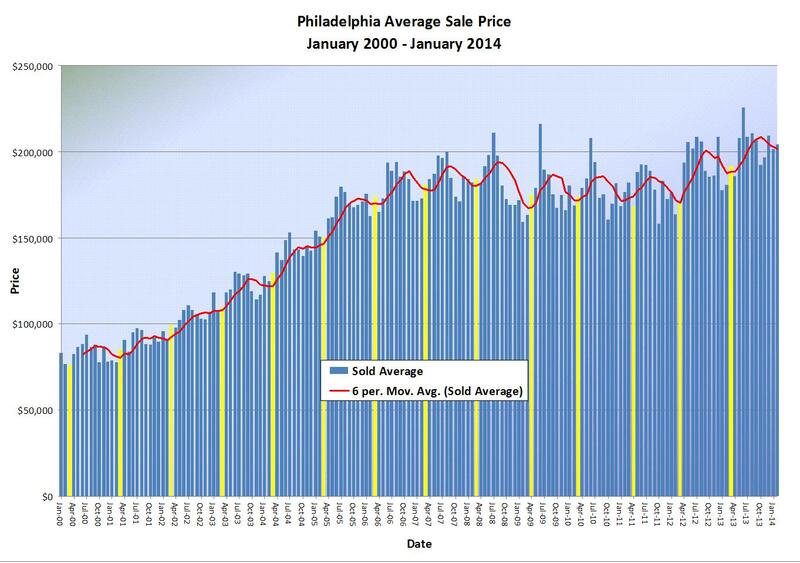 In an effort to provide all with hope, I’ve prepared this graph of the Average Sale Price in Philadelphia from January 2000 to January 2014. The graph clearly shows a growth trend over the past 14 years. You can see the build-up from 2000 through the peak in the summer of 2006. You can follow the market downturn from 2006 through 2011. In 2012, the market appears to begin a slow turn around and incremental movement in a positive direction. I’ve highlighted the month of March for each year in yellow to help illustrate my point. Nearly every year, March marks the beginning of an upward swing in the market. The red line is a trend line that was added to provide even more hope and good vibes. Almost every year, the red line shoots up dramatically after the yellow March column. I’m sure the same will happen this year. So be hopeful! The Winter will end, Spring will arrive and the Philadelphia Spring Selling Season will start very soon! Great blog. The Coyle Group is where I send all my clients who need appraisals in the Philadelphia area. I know that they will receive the best appraisal services from the best appraisers. Thanks, Gary. We appreciate it when the top appraiser in the Portland, OR market is a follower of our blog. Thanks for the great job you do sharing pertinent information about the Philadelphia housing market. I look forward to all of our articles to help me stay informed about what’s going on in the marketplace. Thanks again and keep up the great work!